If you're looking for the perfect gift for yourself or a loved one, our coral pendant collection is a great place to start. 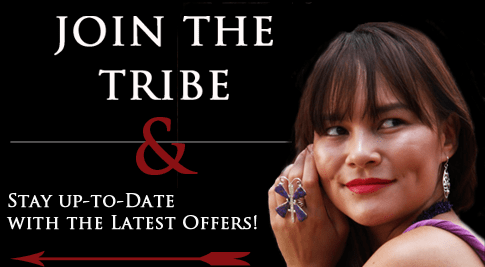 We carry a massive selection of Native American pendants to suit a variety of styles. Coral is an interesting addition to the world of Southwest jewelry. The red variety used in our coral pendants is mined primarily from the Mediterranean Sea. It can be found in underwater caves and has been mined and traded by Eastern cultures for centuries. While it is a relatively newer addition to American Indian jewelry, coral has become indispensible and is used to make some of the most popular varieties of jewelry on the market today. It is neither a stone nor a plant, but the remains of tiny living creatures known as polyps that grow in colonies under the sea. These remains can be carved, molded and polished just like gemstones, but the organic composition is something that makes coral pendants a unique addition to any jewelry collection. Our coral pendants are striking in beauty and feature designs perfected by Southwestern tribes. These artists use several different techniques and styles to make beautiful and intricate coral pendants. Throughout the history of its use, cultures from around the world have believed red coral pendants harbor special powers. It was once believed to ward off hurricanes and repel evil spirits. Others believe it holds healing properties and represents lifeblood, which helps restore the wearer's harmony with the heart. Many of our customers, however, choose to wear coral pendants because of the immense beauty. Our pendants are designed to be the perfect centerpiece for any necklace or bracelet. If you want to highlight the creativity and history of the revered Southwest tribes, consider a stunning red coral pendant. At SilverTribe, we always strive to carry a diverse array of styles that will make the perfect addition to any wardrobe. Whether you are looking for a simple piece to highlight the depth and attractiveness of coral, or something featuring several stones for a truly colorful display, we'll help you find what you are searching for. While red coral pendants are the most sought after, coral actually comes in many different shades that are equally vibrant. We stock a variety of colors to ensure our customers always have a versatile piece to highlight any outfit. Your money will always go further with SilverTribe. Being the online leader in Southwest jewelry allows us to obtain high quality coral pendants at unbeatable prices. Shop with us for great deals and a hassle free experience. Your satisfaction is our number one priority. That's why our customers can count on fast, free shipping and the best customer service the industry has to offer.